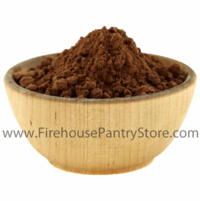 Cocoa powder can be used in baking, candy making, and in many savory recipes. What is the difference between Dutch Cocoa and regular cocoa? Dutch processed cocoa is processed with a potassium solution to neutralize the acidity, thus a smoother, more mellow flavor. It also darkens the cocoa powder. 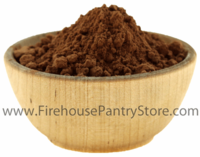 Did you know that cocoa is full of antioxidants?! Ingredients: cocoa processed with alkali. Packaged in a facility that packages wheat, milk, soy, egg, peanuts, and tree nuts.